Similar to your cosmetic pencil, you may choose soft and natural color or more dramatic and defined. Normal makeup can always be applied over it for special occasions! Between two and five hundred dollars per procedure, depending on the work required. Since permanent makeup lasts for many, many years, think of the savings in cosmetic purchases, worry and your valuable time. Permanent makeup is comparable to waxing or plucking! A topical anesthetic is applied to ease any discomfort. Although each client's tolerance level is different, most will agree that it is more comfortable than anticipated. I have a reputation for being extemely effective using numbing agents to minimize discomfort. YES! The procedure is doctor supervised following strict hygiene and sterilization procedures. Following O.S.H.A. guidelines, only single use sterile needles are used with hypoallergenic pigments widely used by cosmetic surgeons. All of my locations are routinely inspected by the Florida Department of Health and pass every time. Since Micropigmentation is a superficial procedure, there is very little recovery time. Some individuals may experience slight swelling or bruising for a day or two, but mainly it will just appear too dark for 3-5 days. A strong desire to always look great! Certified Surgical Technologist and a degree in Radiologic Technology. Advanced training with the top Permanent Makeup/Tattoo Artist in the U.S. 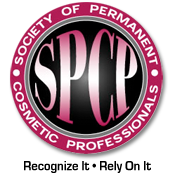 Member of the Society of Permanent Cosmetic Professionals since 1995 and the Cocoa Beach Area Chamber of Commerce. Art training at Virginia Intermont College and East Tennessee State University provides a professional's eye for color and perspective of your final new look.